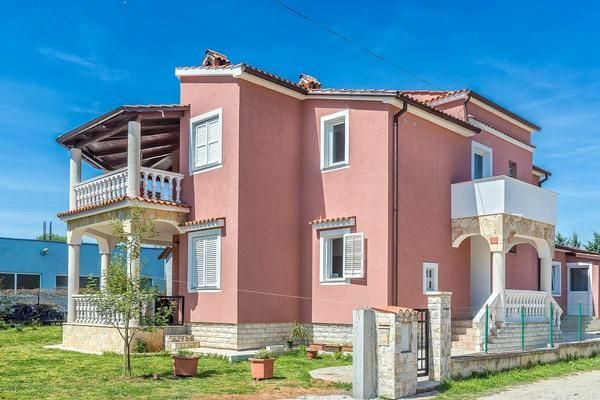 The house is situated in a nice zone in Sikici, distanced 4,5 km from the center. Restaurant and shop are 2km distanced from the house, which gives the guests peace and privacy from the seasonal traffic and noise. House has 2 apartments available for renting and shared terrace with grill. Parking is in house courtyard. Pets are not allowed. The owner lives upstairs. The apartment is situated on the ground floor and offers accommodation for 4-6 people. There are two bedrooms, kitchen with gas stove and oven, air conditioned living room with sleeping possibility, bathroom and terrace. Guests also have TV/SAT, WiFi, bed sheets and towels.